A long coastline with sandy beaches and intermittent little boroughs : here is how the north-western Sicily coast looks like. 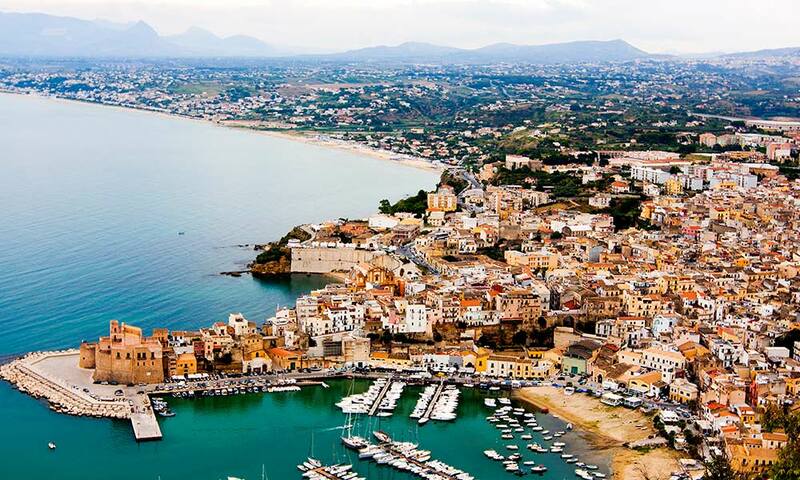 Being it set in the notorious “Valle degli Ulivi”, the little Castelluzzo borough, with its seaside landscape, delicately interrupted by mountains, is reachable by treading the north-western seaside pathway. The borough, which mainly comes to life in the warmest period of the year, boasts of a particurarly favorable position for those who love spending their vacations among history, culture and nature, without giving up nightlife. It is one of the most beautiful beaches of the area, set in the wild nature. 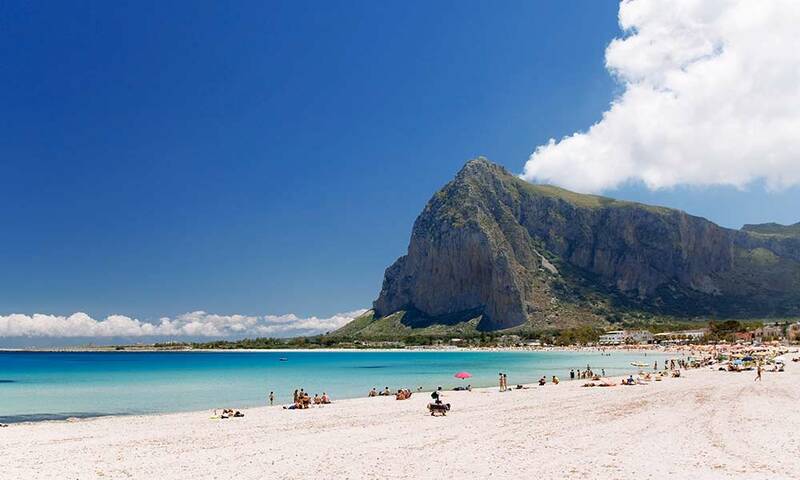 Known as “Rina di Makari”, the beach has a very thin calcareous sand which distinguishes it from San Vito Lo Capo, whose sand is of organic nature. The beach got its name from the saint and it is the ideal place to spend relaxing days on which to do snorkeling. The renowned seaside area which has been hosting the “Cous Cous Fest” for 20 years, in which cultures from all over the world engage in original elaborations of this typical Arabian dish. This place is famous for its sand which originated from the crumbling process of coral. 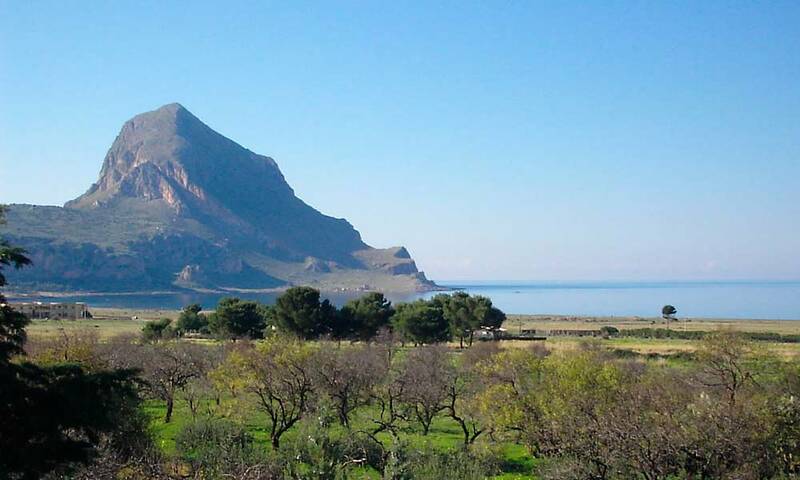 One of the most notorious tourist attraction for excursions is the natural reserve of “Zingaro”, set a few kilometres away from the Trigrana Hotel, which links the bouroghs of San Vito Lo Capo and Scopello. The whole area is strongly characterised by the Mediterranean vegetation. 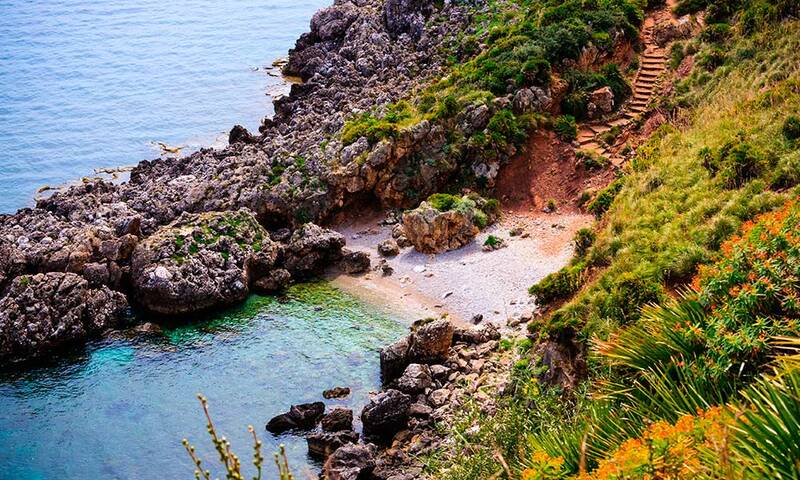 Moreover, along the countryside pathways you can find small bays in which you can bathe and practise snorkeling. 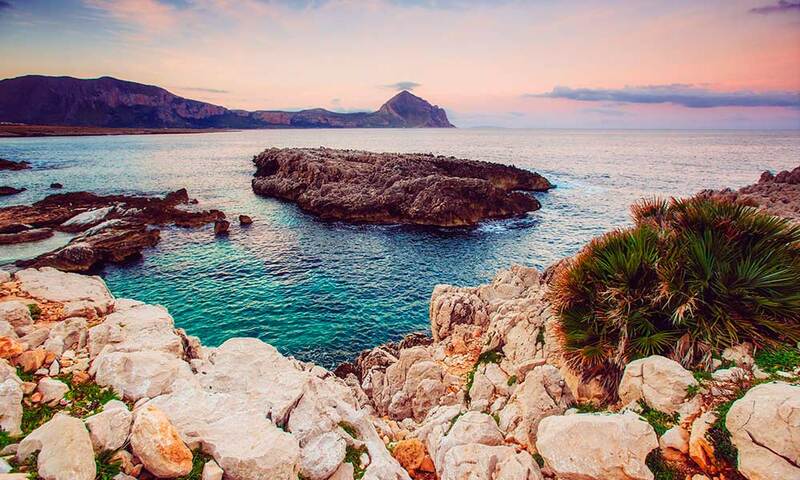 The natural reserve named “Monte Cofano” links Custonaci and San Vito Lo Capo. 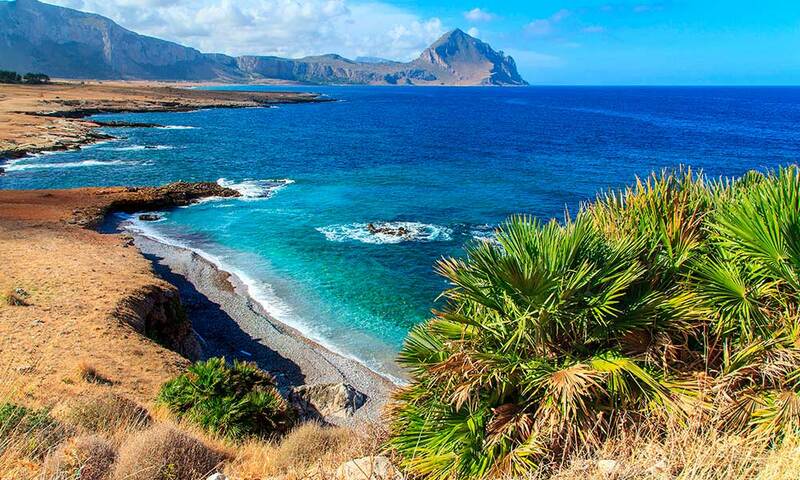 The southern part of the mountain overlooks the small Cornino gulf, a fraction in which the fragmented coastline attracts many tourists in the warmest months. Here the limpid waters are made fresher by brooks coming down the mountain. Strolling around the mountain you can admire many breathtaking sights of indescribable beauty. On the northern side of the mountain, you can admire an ancient tower dating back to the XVI century, which was once utilised as a tuna fish sighting point. It is a small village set nearby Cornino’s bay, whose economy is mainly based on marble extractions. Local marble quarries are rich of a precious stone which is refined by expert artisans. 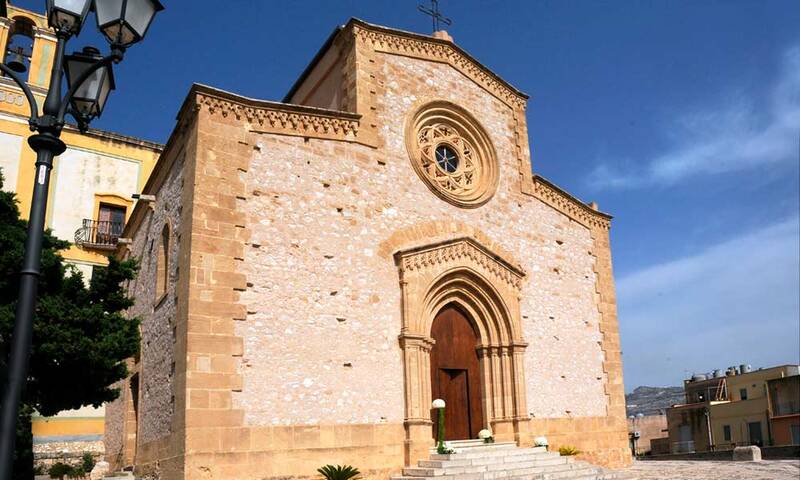 On the top of the village you can admire the sanctuary of “Madonna di Custonaci”, a Renaissance building with a Gothic style, an attractive point for tourists. This apparently Medieval borough was founded in a period prior to the middle ages, exactly in the VI b.C. 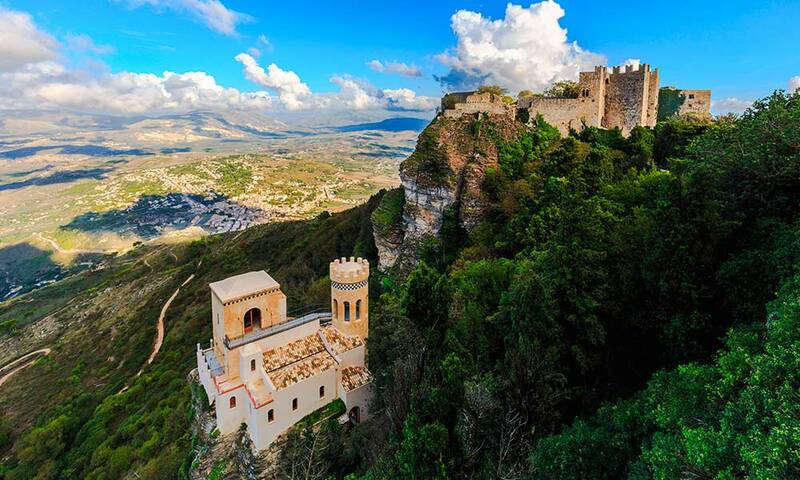 Erice is known as “The city of Science”, indeed , here you can visit the geophysics studies centre “Ettore Maiorana”. Moreover, you can walk along its small and winding streets, enjoying moss scent and breath-taking views. 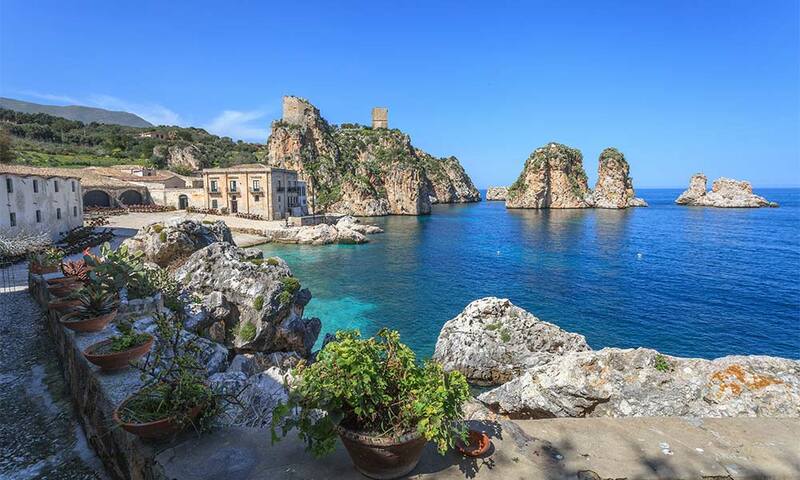 Scopello is another small village neighbouring the “Riserva dello Zingaro” and it overlooks sea stacks: this peculiarity has converted it in a perfect location for movies, which attracts every year many VIP. Local houses flow into an ancient patio, in which takes place tourist activities. This small town is characterised by an ancient castle, which walls mirror port waters. The gulf, dominated by the “Inici” mountain, offers you breath-taking views and the possibility to walk along the seafront, exploring, at the same time, many pubs where you can have a excellent drink.